In the instant messaging app, WhatsApp launched the Picture-In-Picture mode for the iOS user earlier this year. Now the company is working to give the user a picture-in-picture feature in WhatsApp set. The beta version of PiP support 2.18.301 has come to the Android platform. With this feature, a small window will open in the app, which can be seen on Instagram, Facebook, and YouTube videos. This means that you will not need to go to the Instagram, YouTube and Facebook app to view the video sent by a contact after the feature comes to the app. After getting PiP support, if you click on a YouTube link, the video will start playing in the app itself. According to the WABetaInfo report, this feature is not working properly right now. The video automatically closes when you leave the chat. With Picture-In-Picture mode, you can talk to many people while watching a video. If you have downloaded latest Beta Version 2.18.301 but still do not see this feature, then back up chat. After that re-install WhatsApp. After the app is re-installed, you will see Play / Pause, Close and Fullscreen buttons in separate window open. In addition, there will be an option to increase the size of the video window, to minimize and move anywhere. WABetaInfo notices that PiP mode is only working on smartphones running on Android 4.4 KitKat or above. Please tell that picture-in-picture mode is now available in beta version. 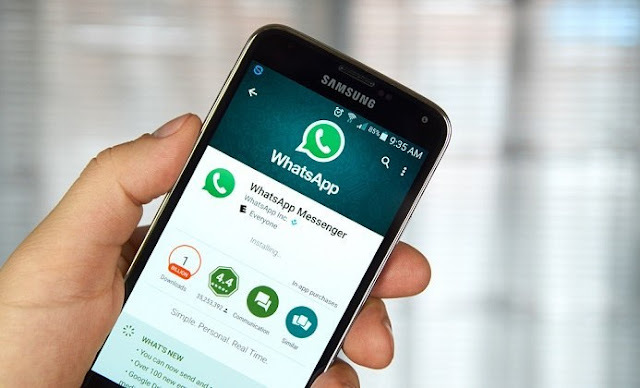 To download the latest Beta version of WhatsApp on your Android phone, you have to participate in the Google Play Beta program. Apart from this, you can easily download the APK file from APK Mirror.